Saints Row: The Third – The Full Package will be releasing very soon on Nintendo Switch, May 10th in fact. 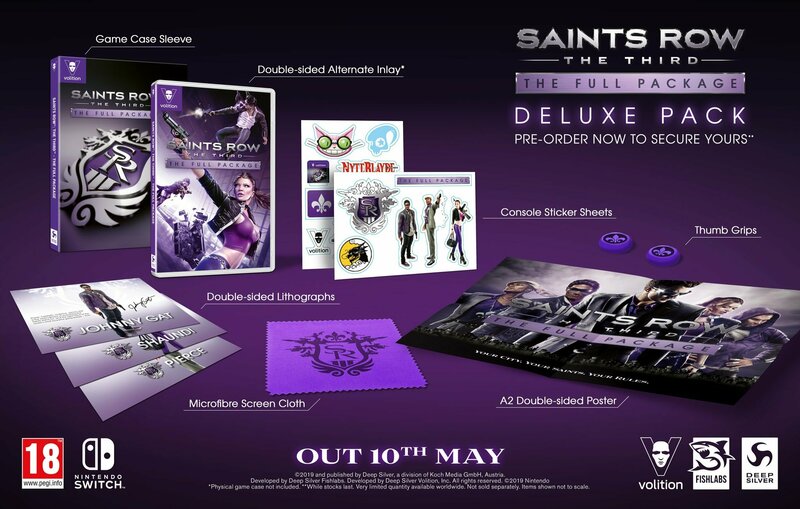 Aside from the standard version, UK retailer GAME also have a Saints Row: The Third – The Full Package Deluxe Pack version for Switch. Saints Row: The Third – The Full Package Deluxe Pack is currently priced at £34.99. Pre-orders are open on the GAME UK website. The Deluxe Pack seems to be a GAME exclusive as no other retailer is offering this pack at this moment in time.